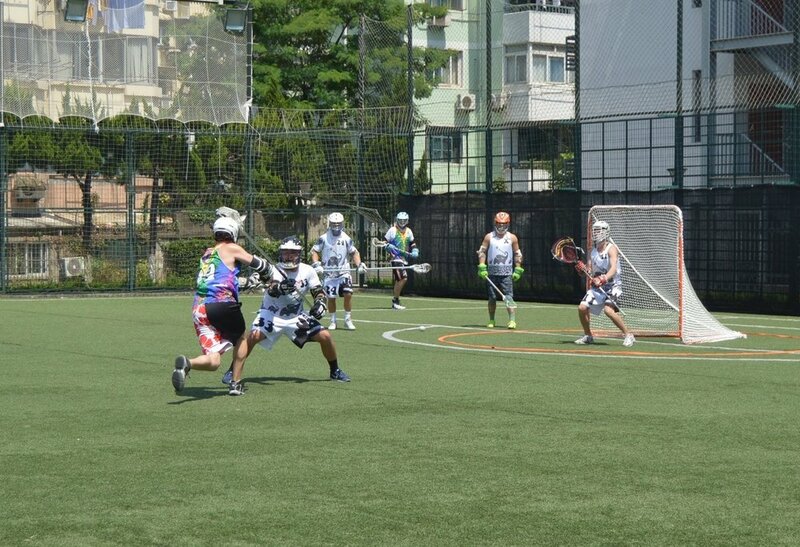 This lacrosse games was hotter than a Diablo shaft. 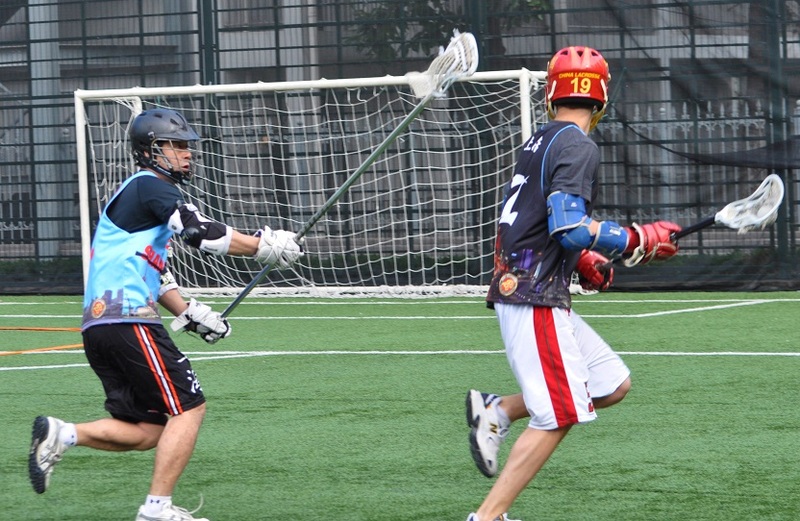 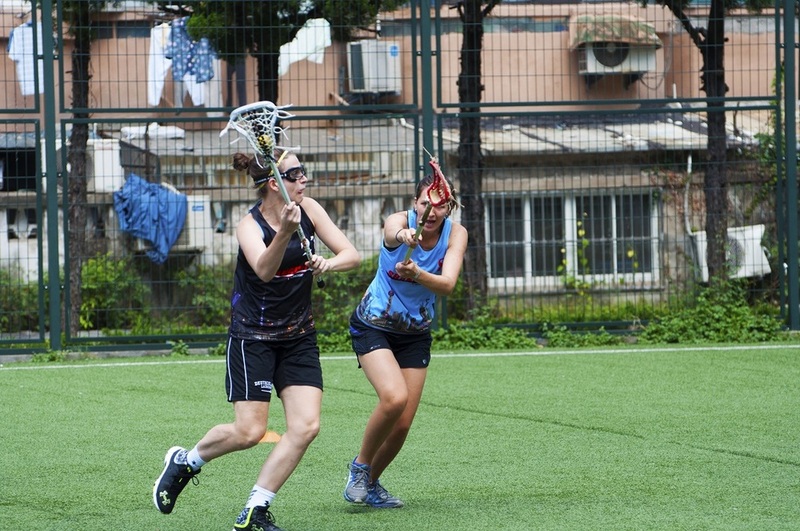 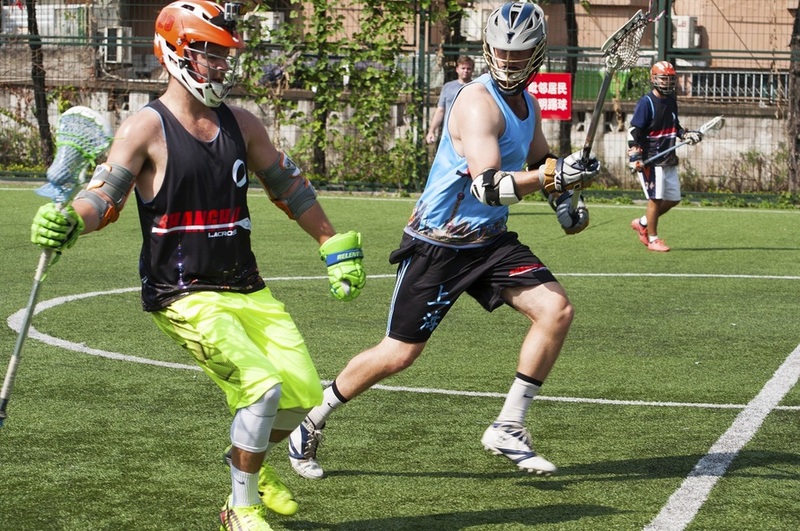 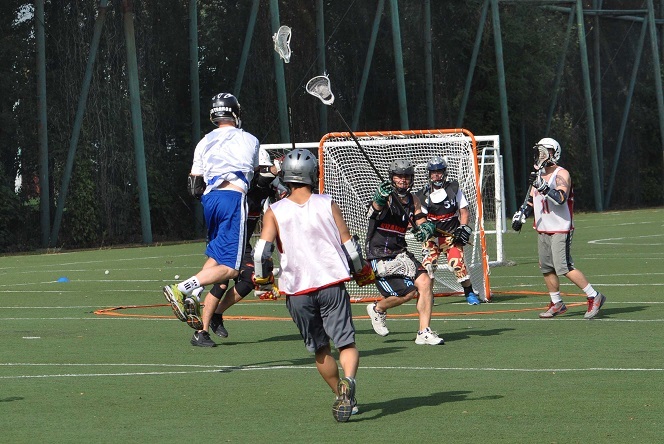 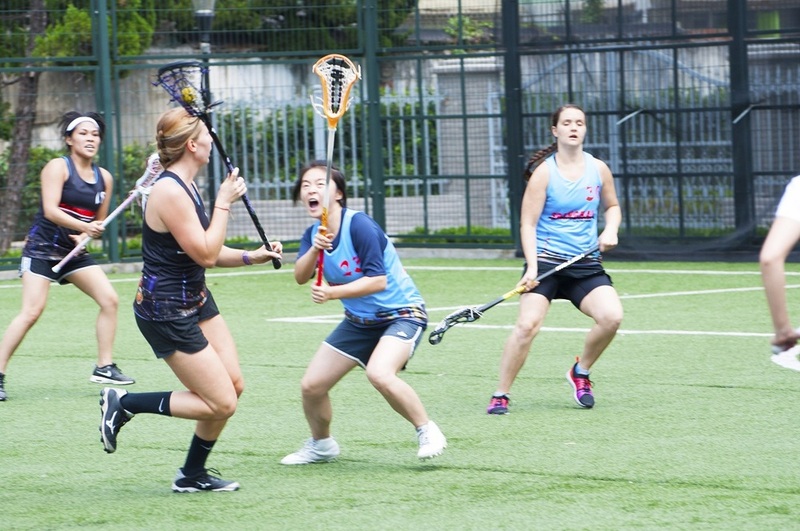 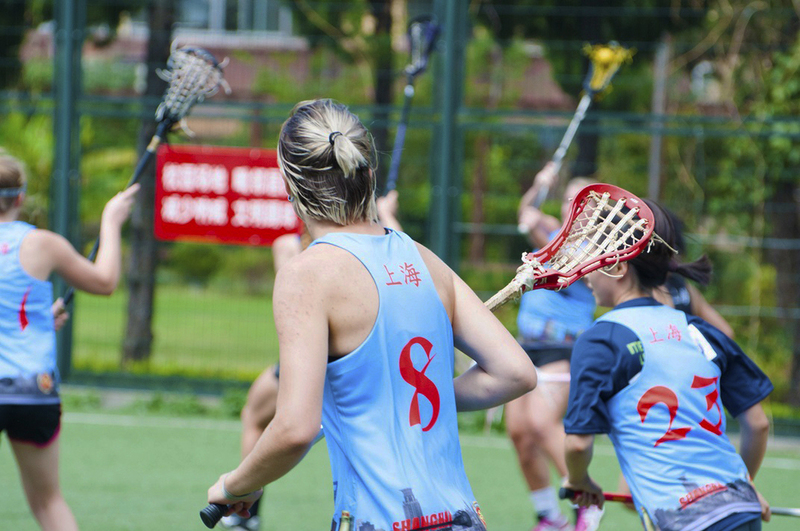 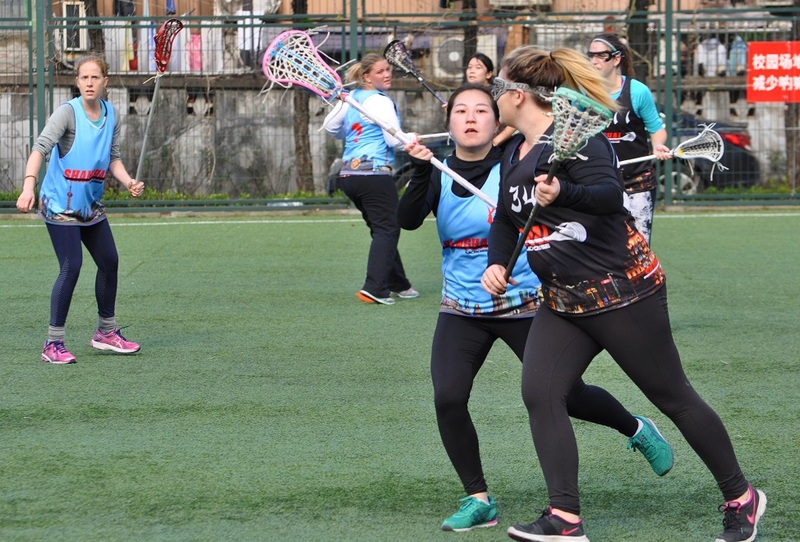 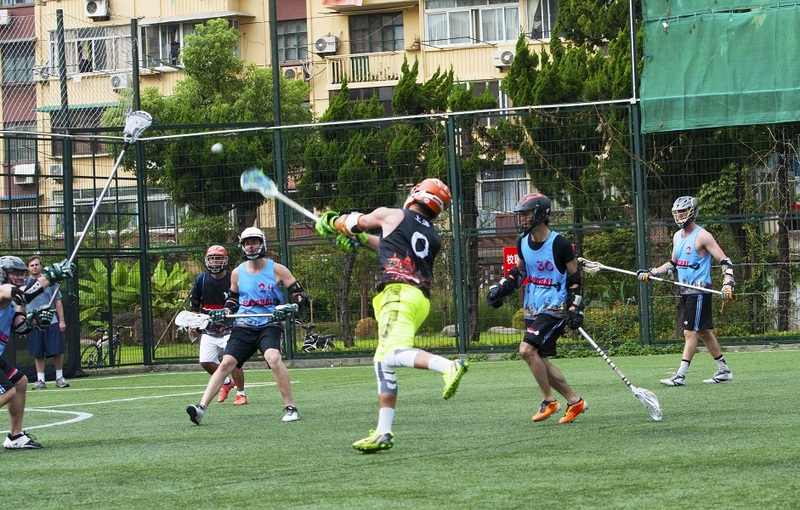 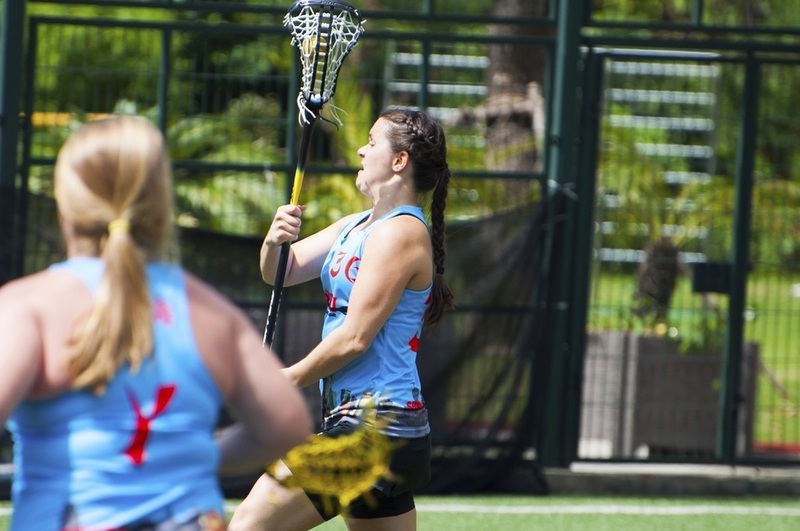 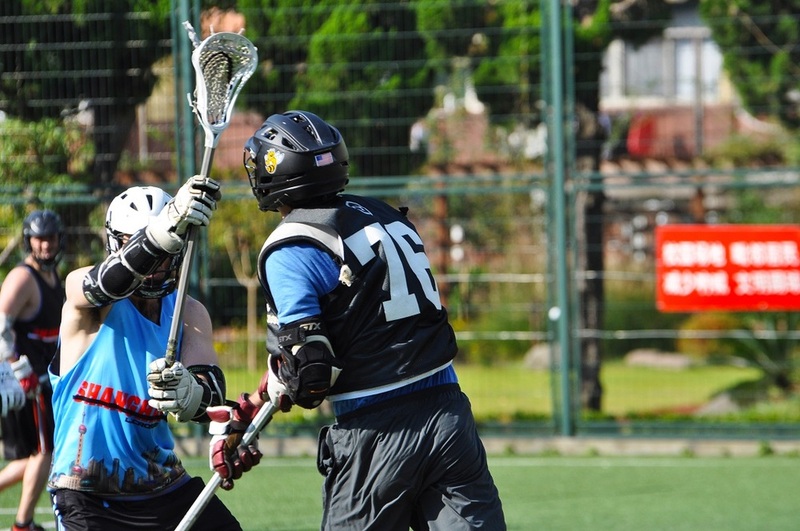 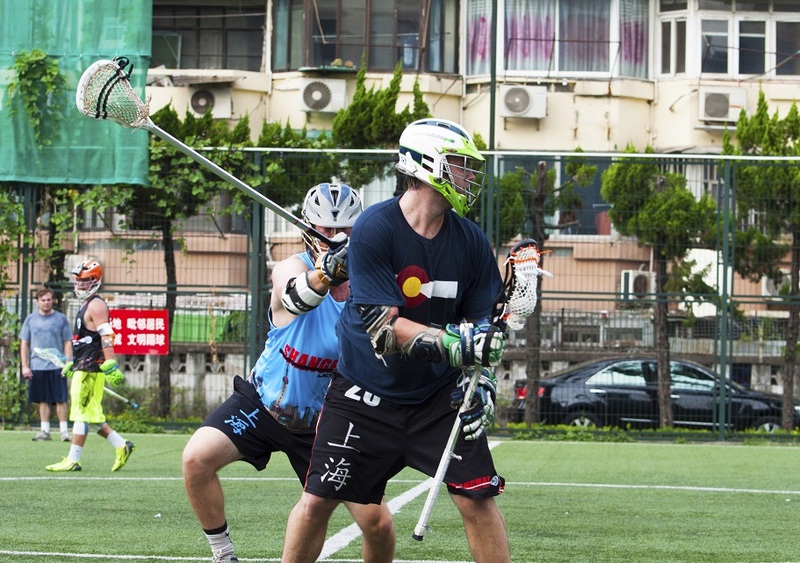 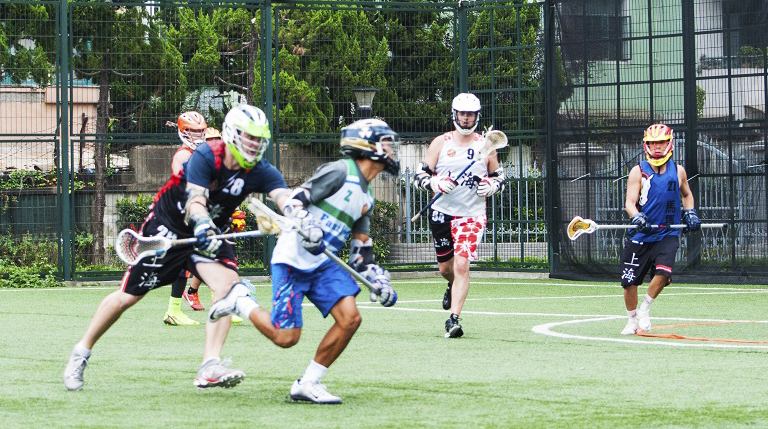 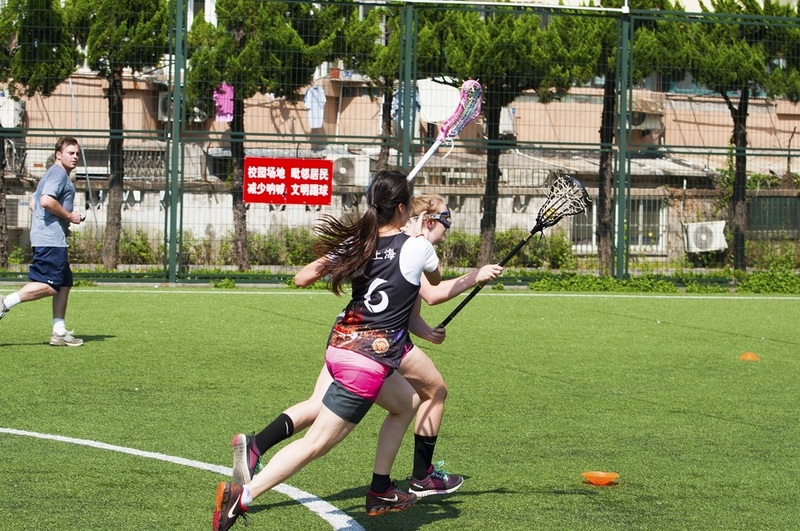 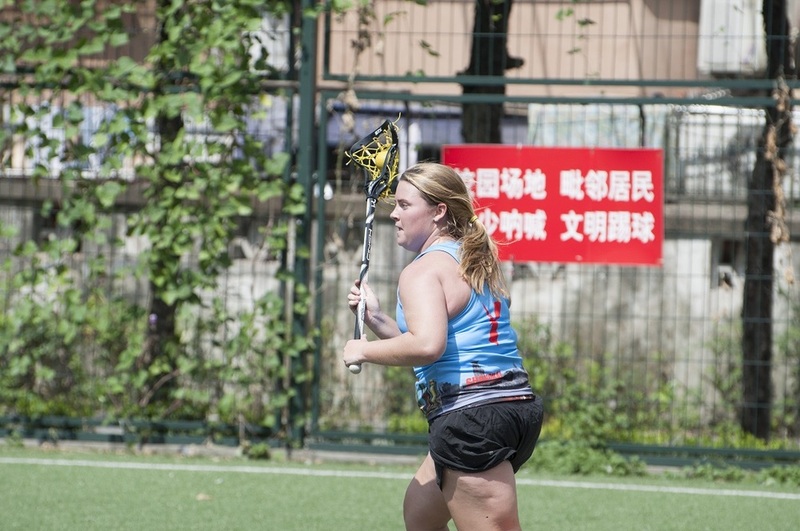 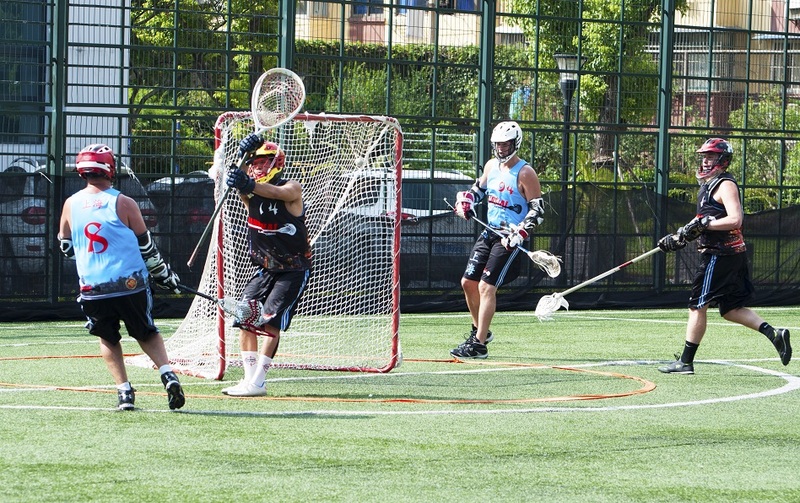 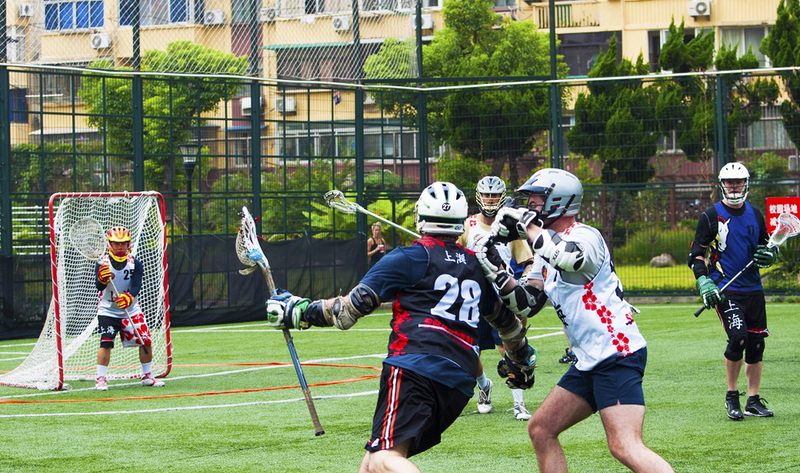 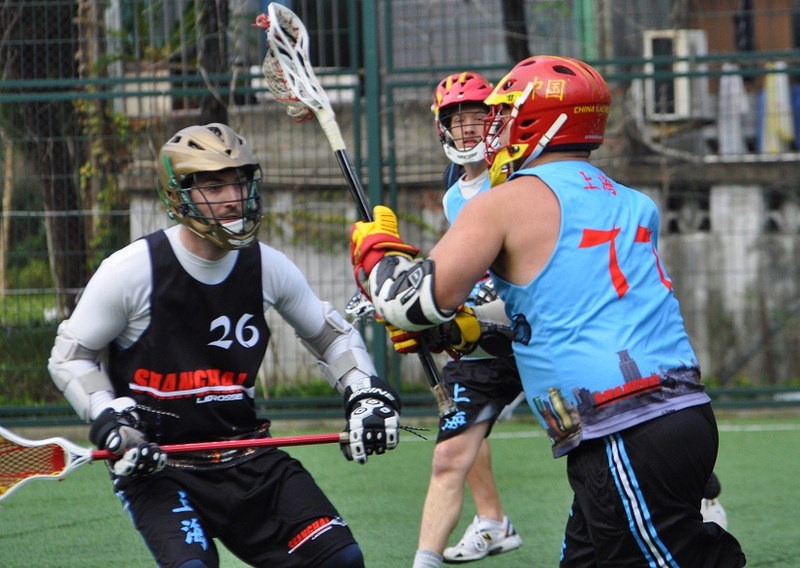 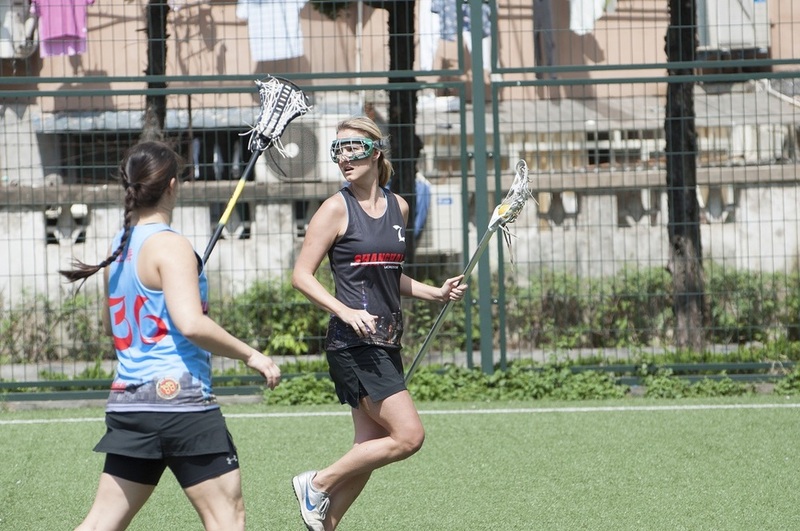 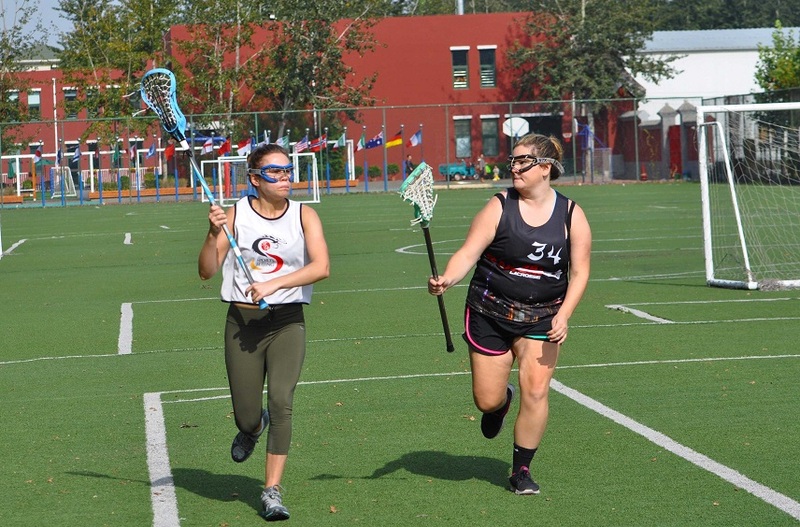 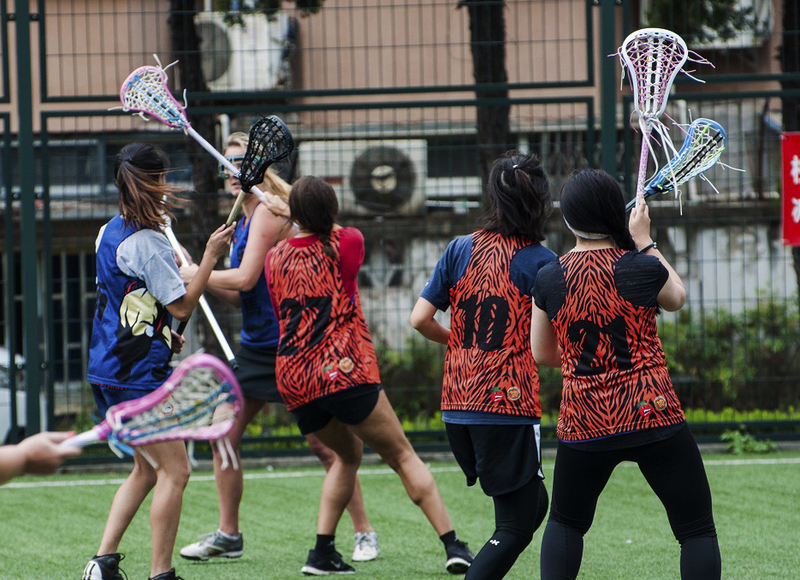 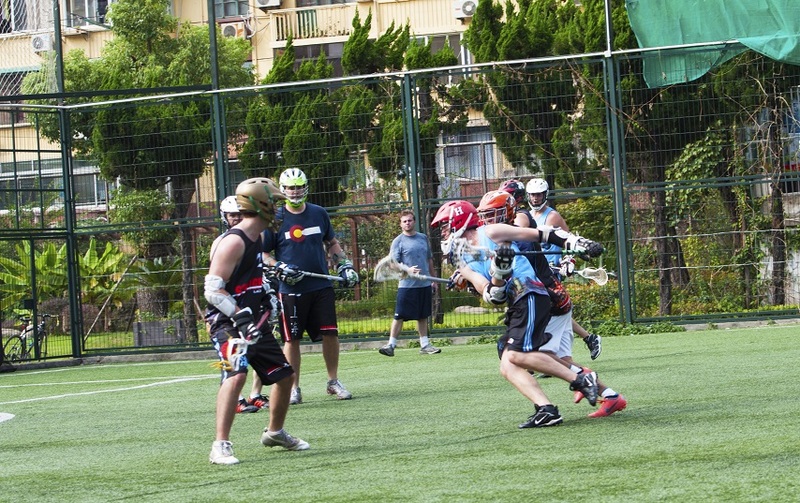 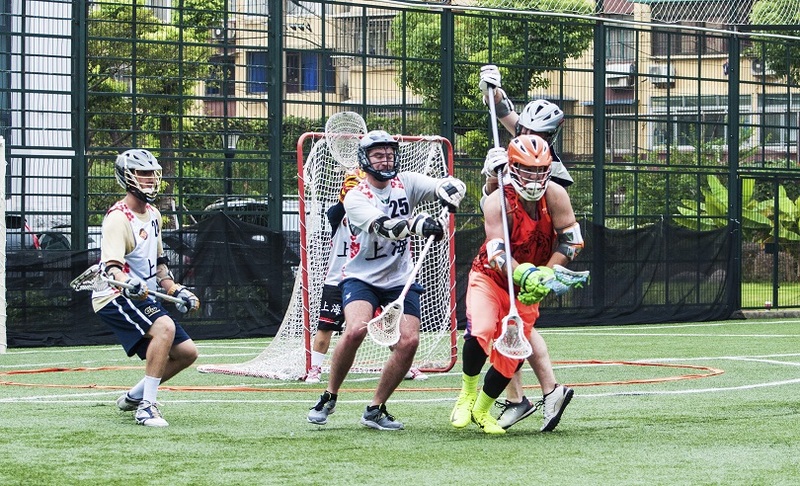 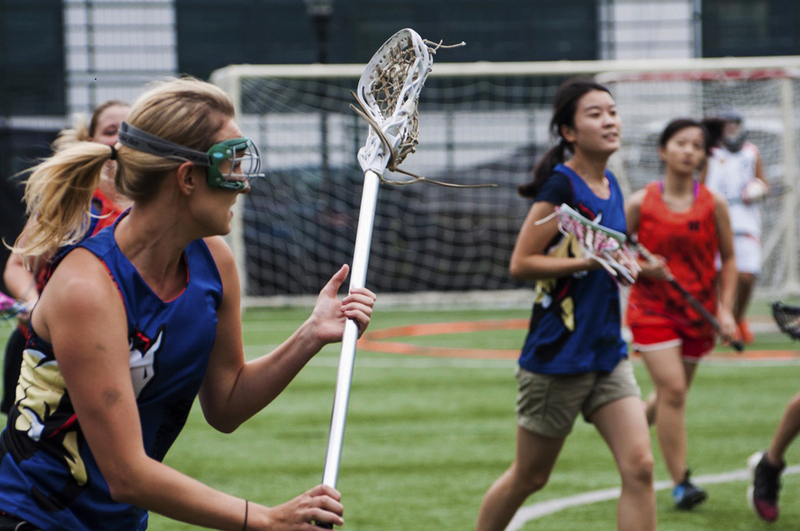 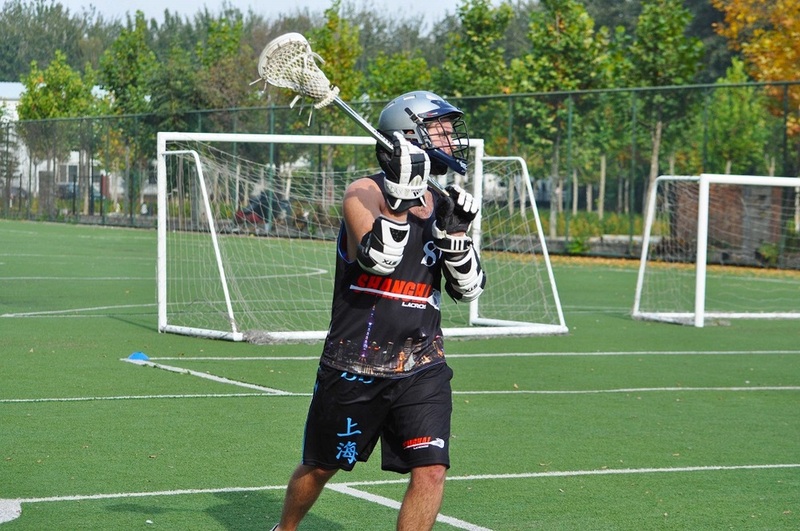 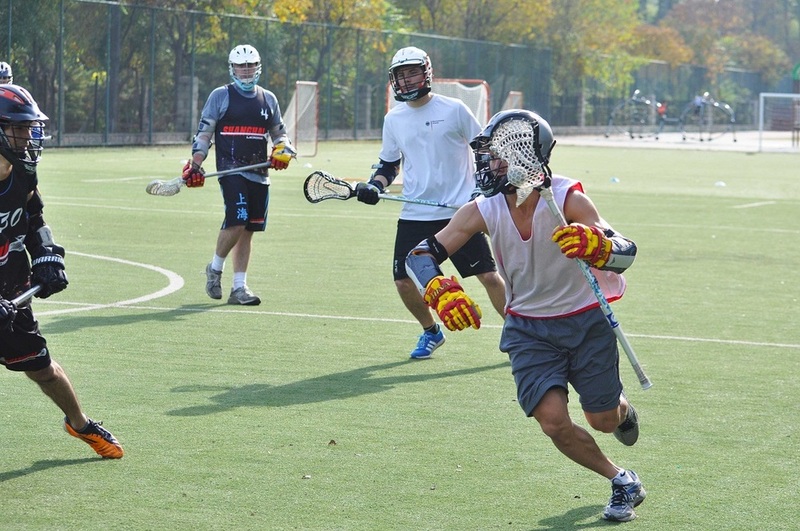 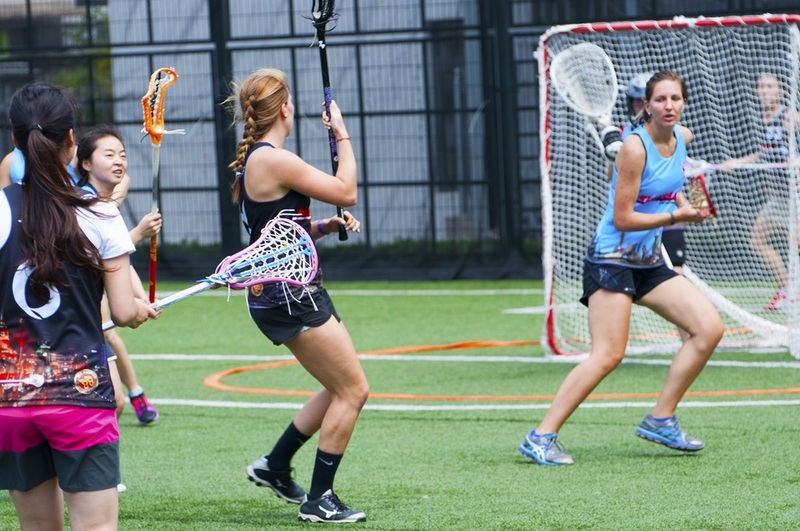 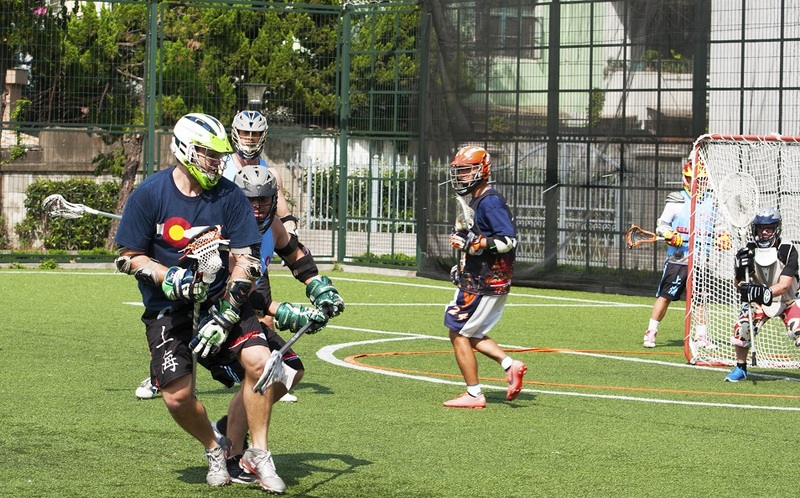 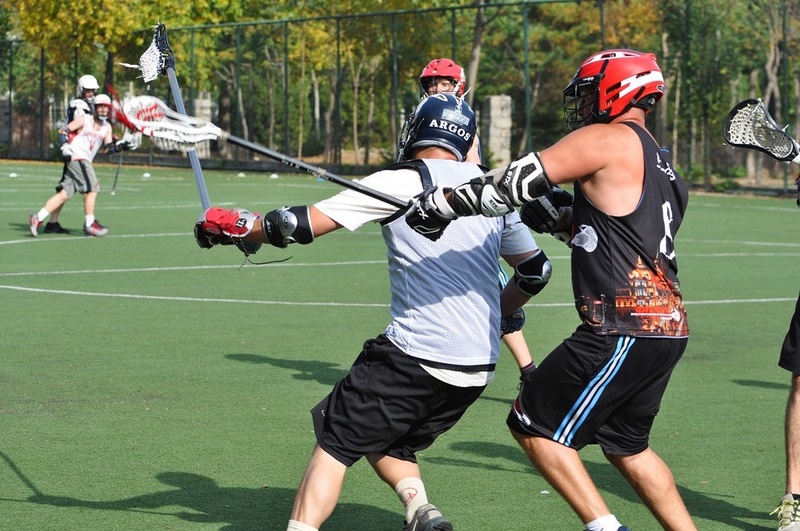 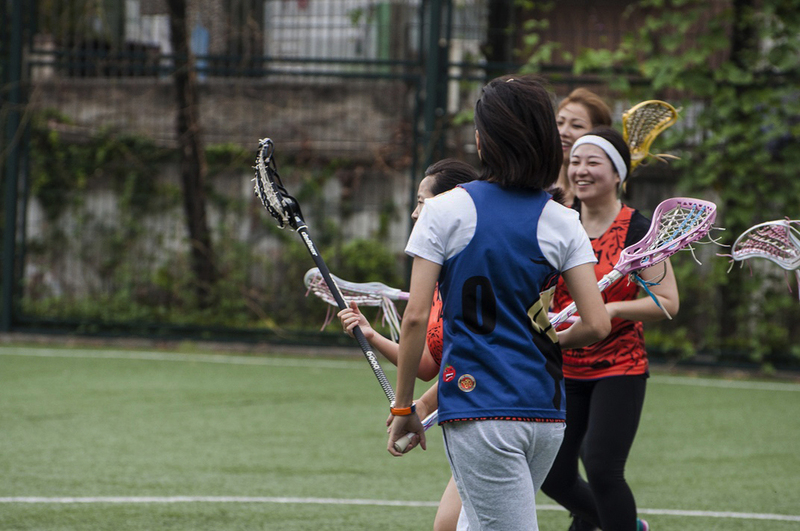 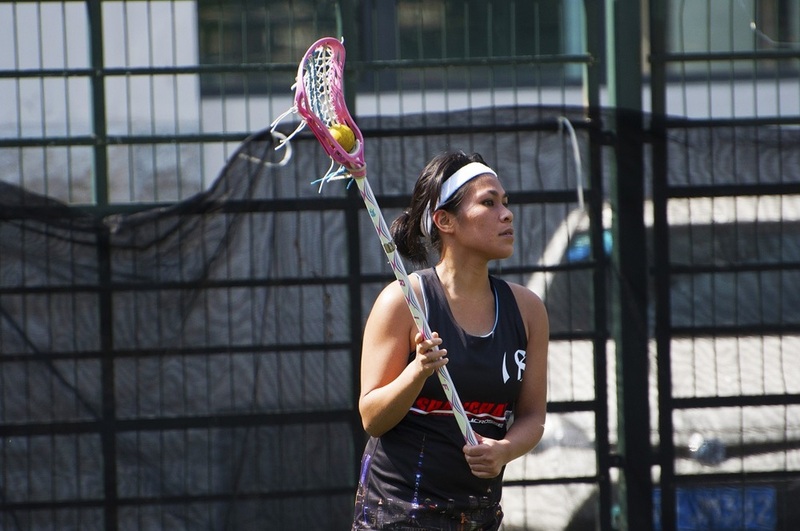 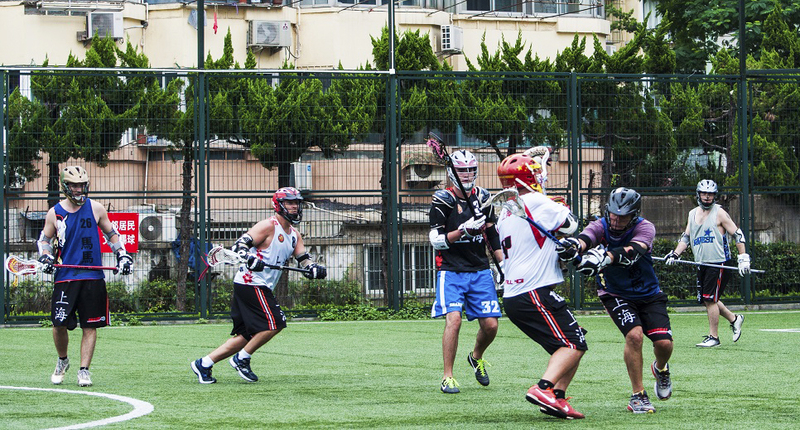 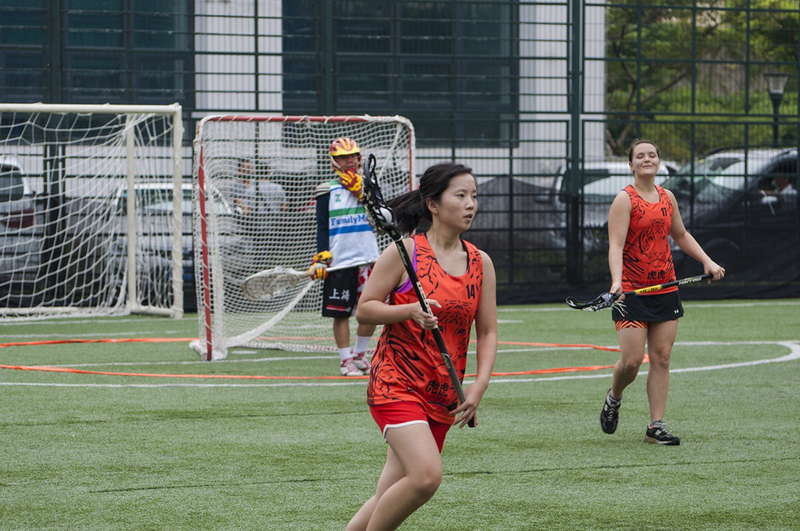 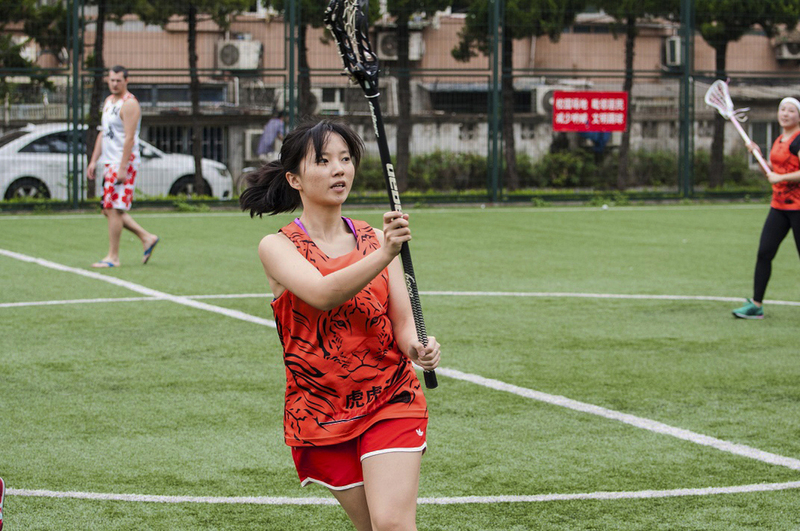 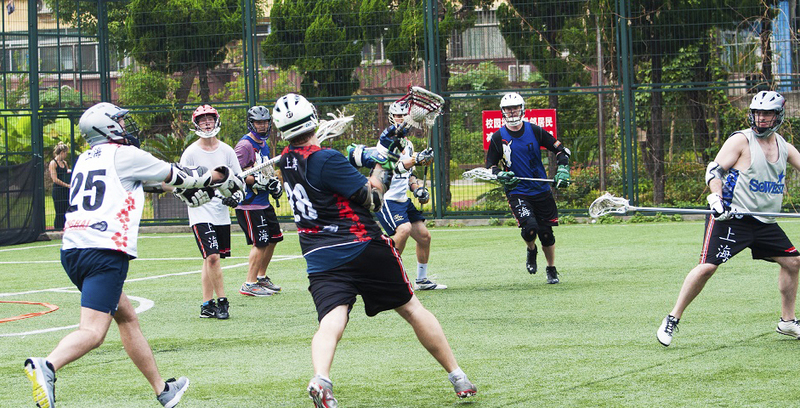 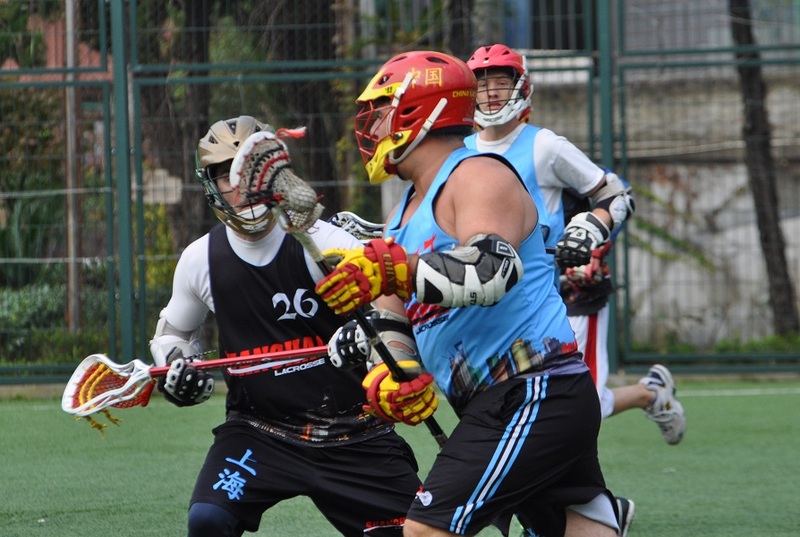 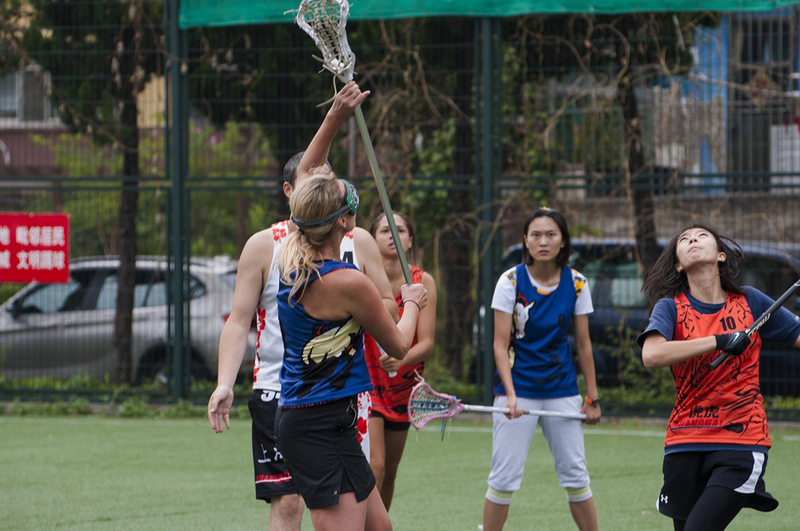 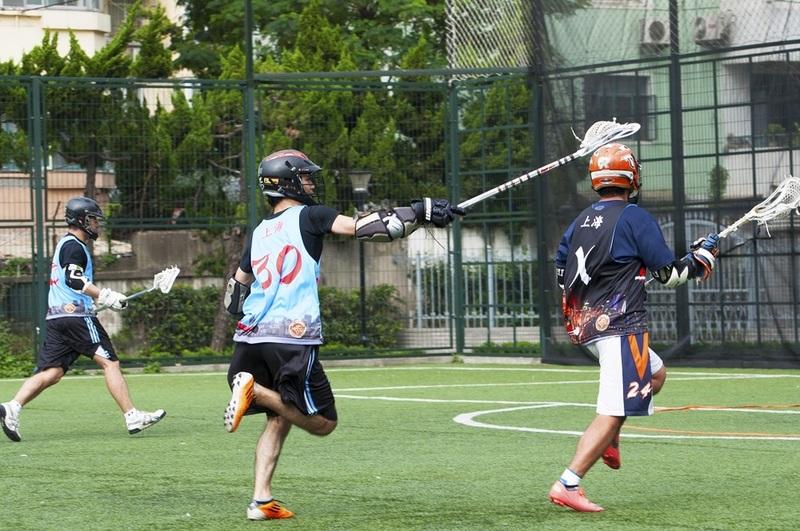 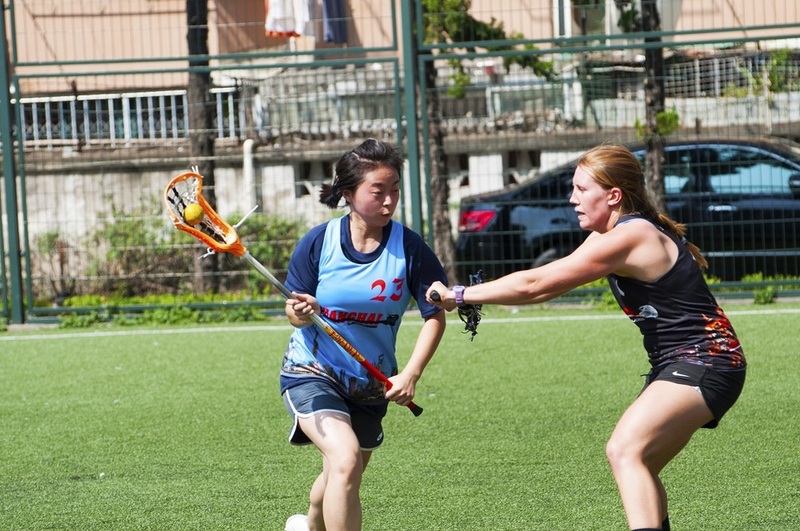 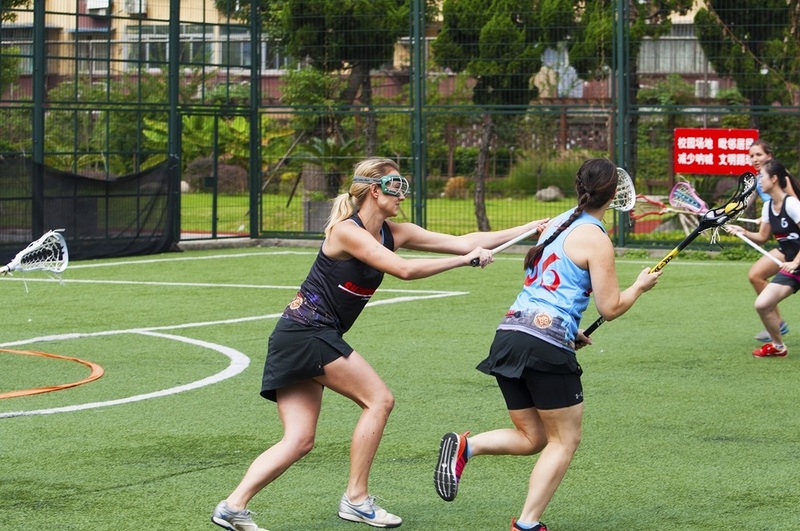 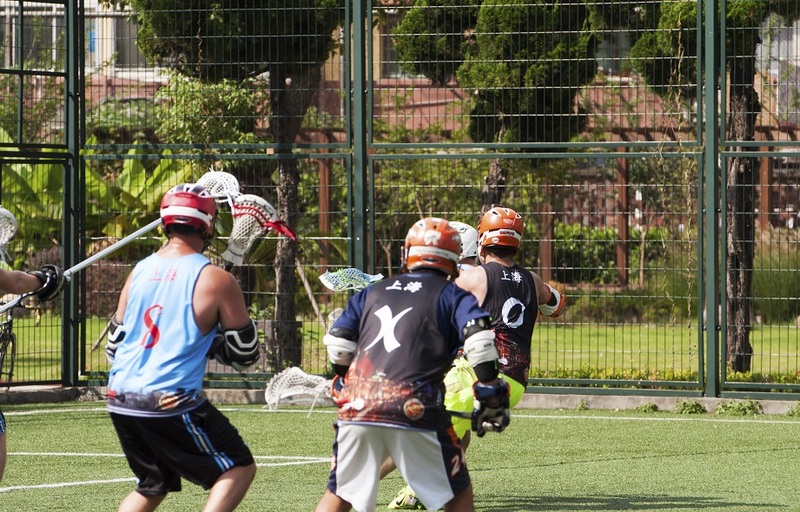 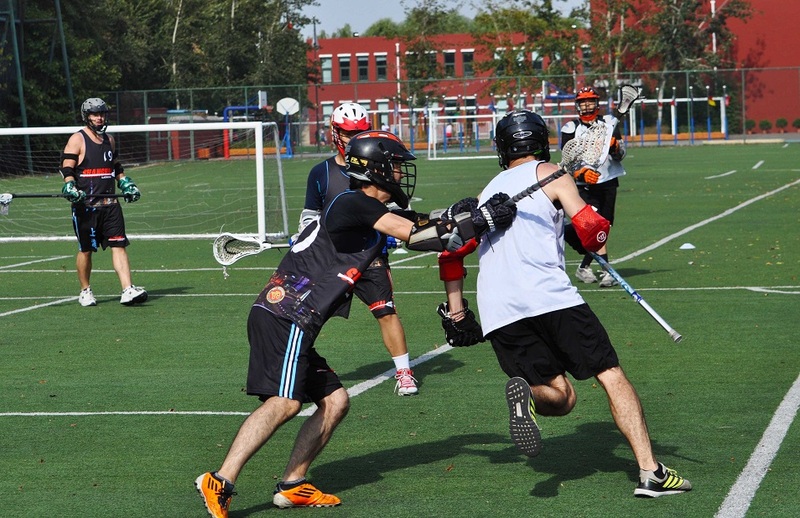 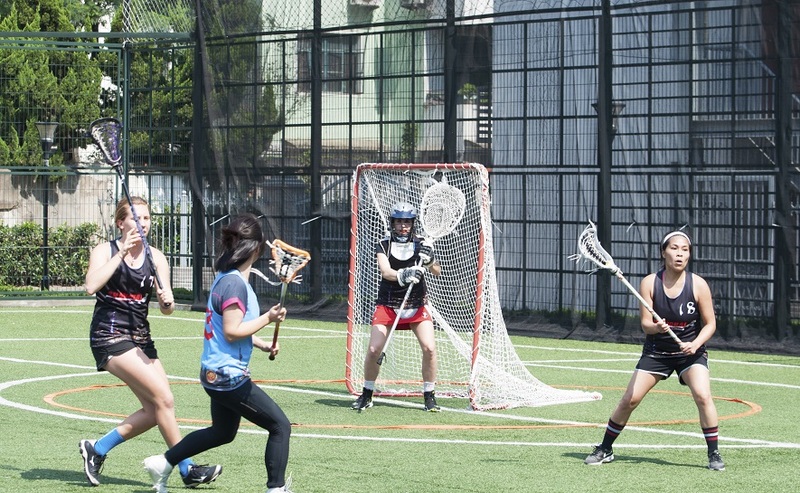 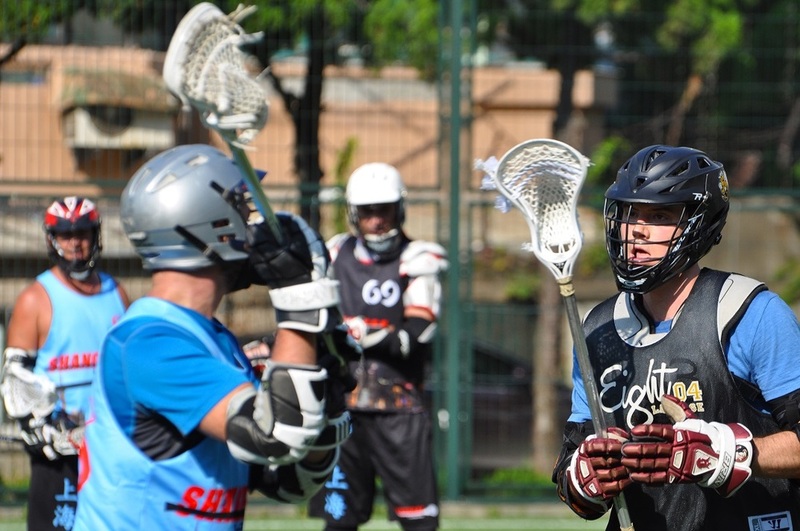 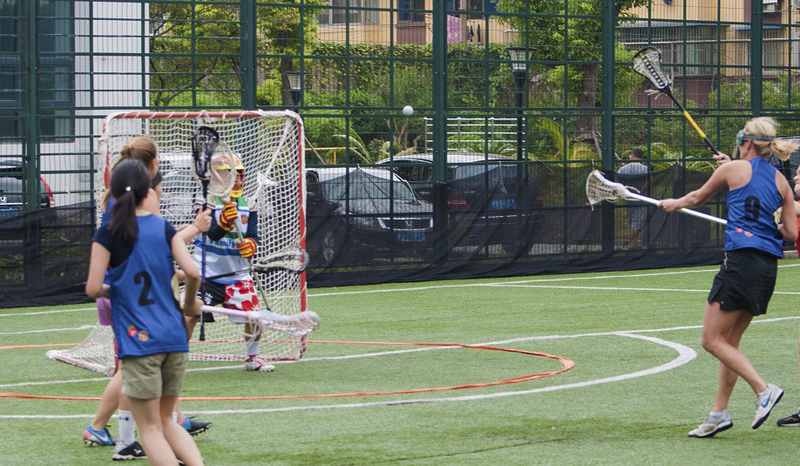 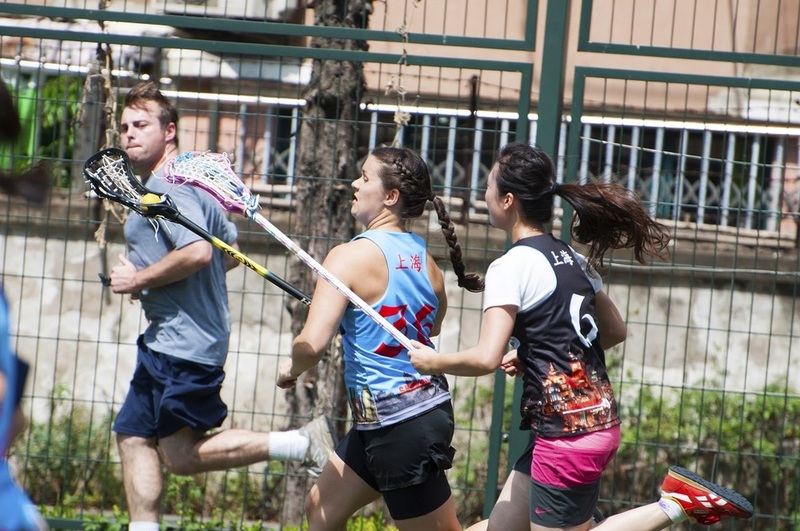 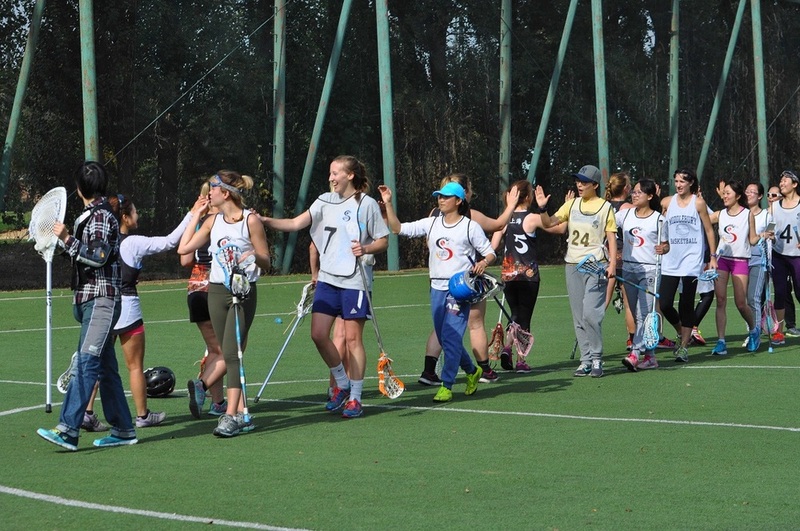 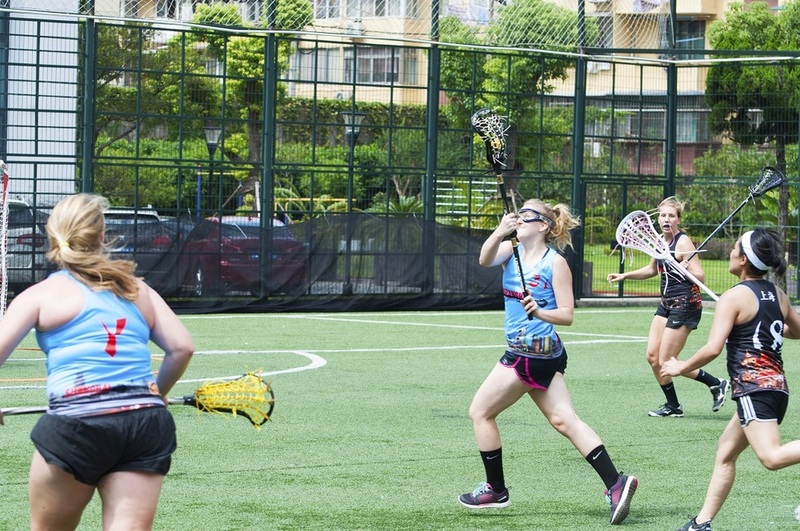 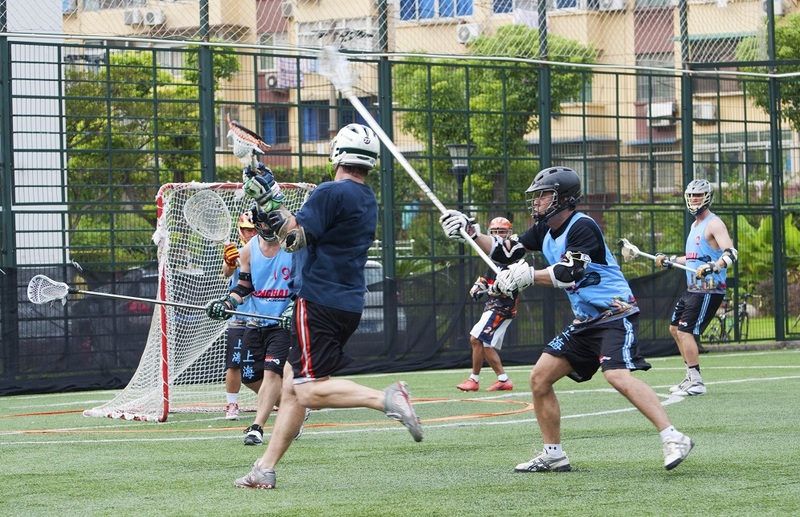 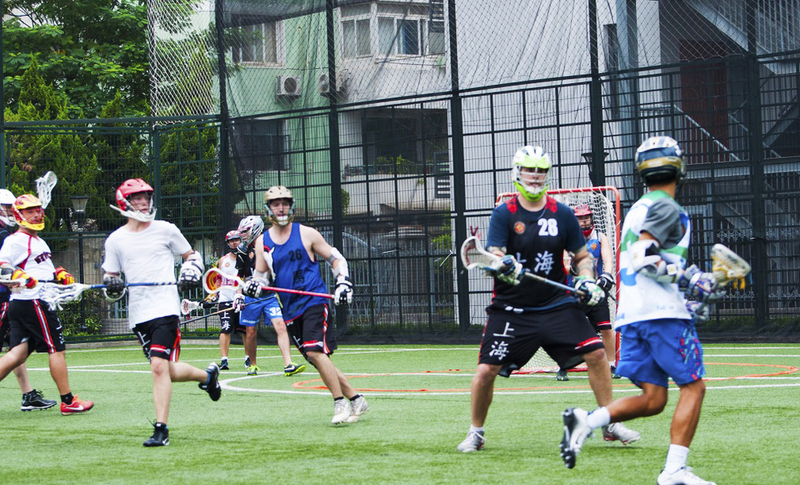 Los Elefantes took the field with one substitute player to oppose the previous week’s champs, the Danimals—both teams now containing some fresh young players, new to the Shanghai Lacrosse scene. 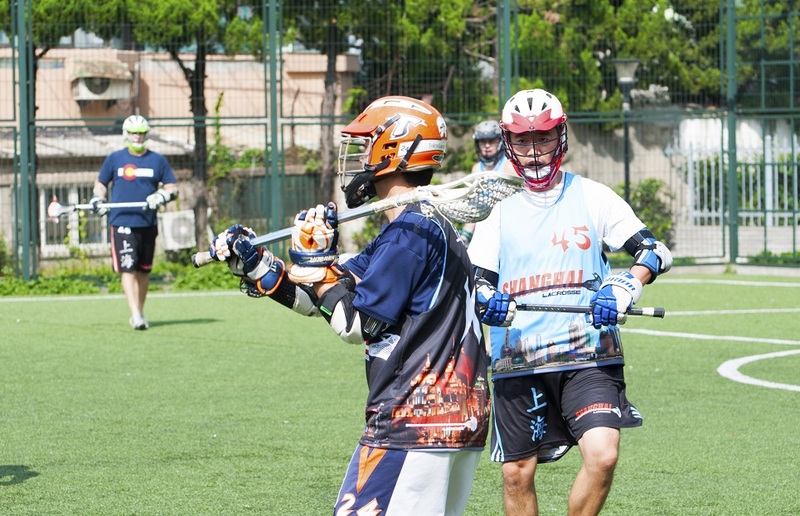 Much hype was put around these players leading up to the game with a great amount of excitement directed specifically towards their agility and endurance. 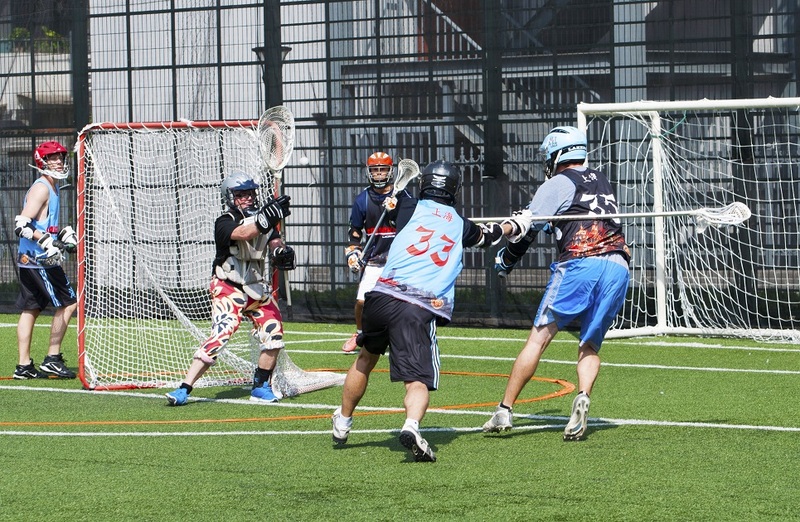 Similar to week one, the Danimals took the lead and kept it for the duration of the game. 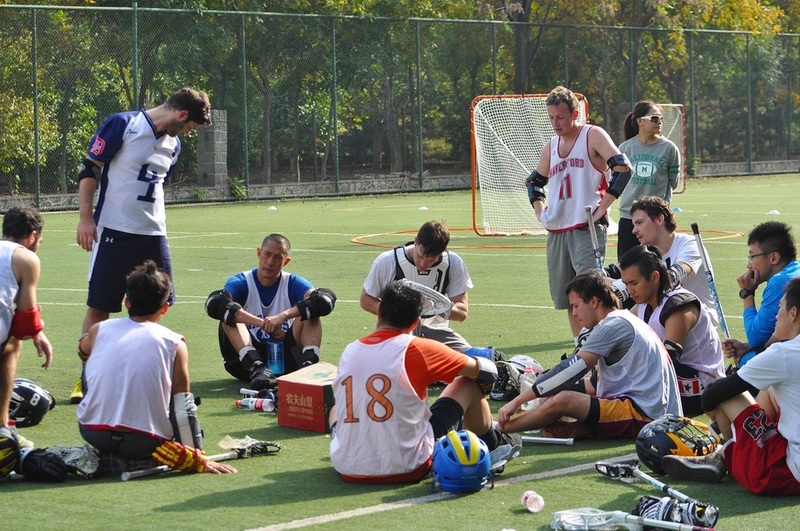 On the los Elefantes side, they were joined by defensive player Chris Casey. 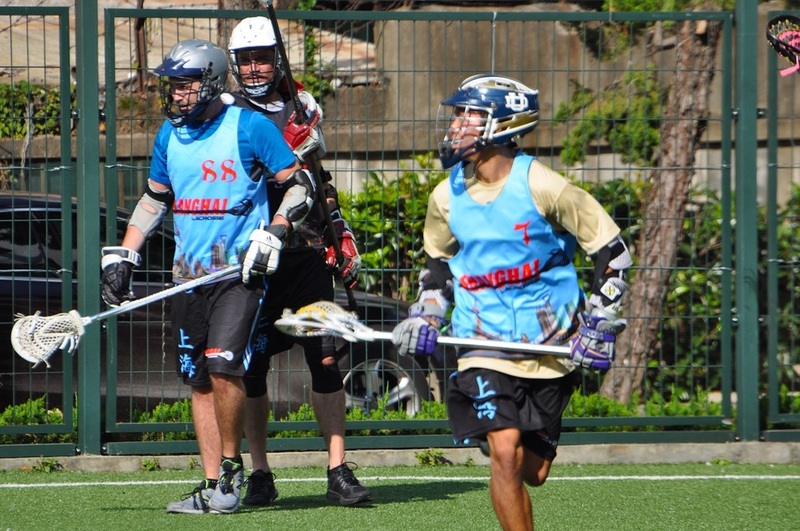 He played alongside teammate D-pole Jesse Franco (cousin to James Franco), and together they put up a very solid defense against the deadly Danimals’ attack. 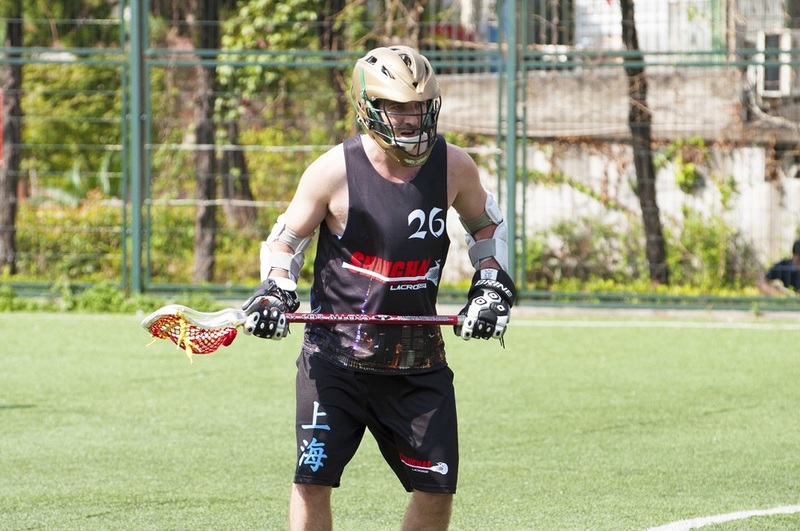 Unfortunately though, one of the additions on the Danimals team was Jared Sims. 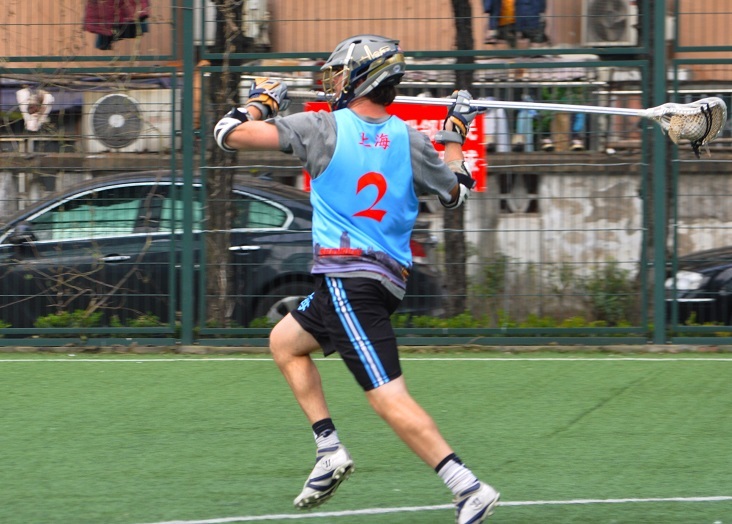 Among the top scorers of the game with 9 goals, Jared partnered well with his new team and was able to carve up the solid Elefantes’ defense with fellow teammates Sean Pearce, 4 goals, and Mark Collins, 9 goals. 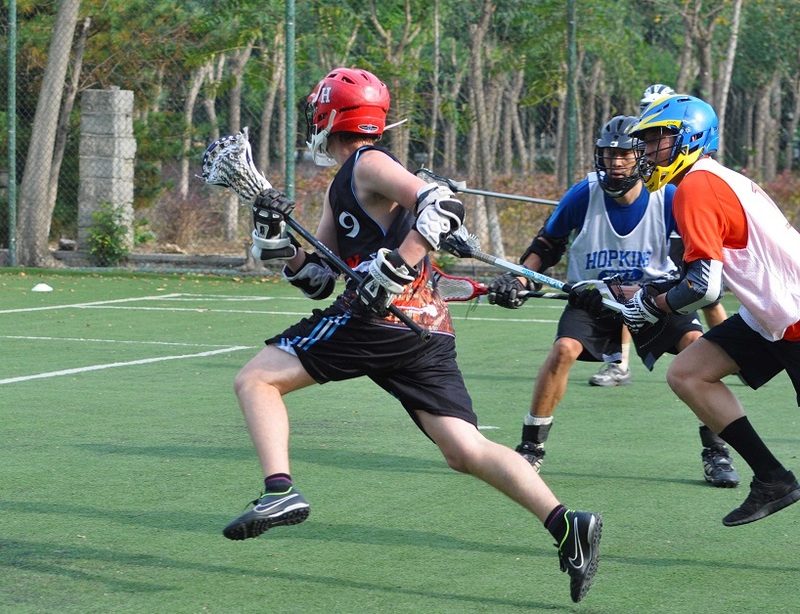 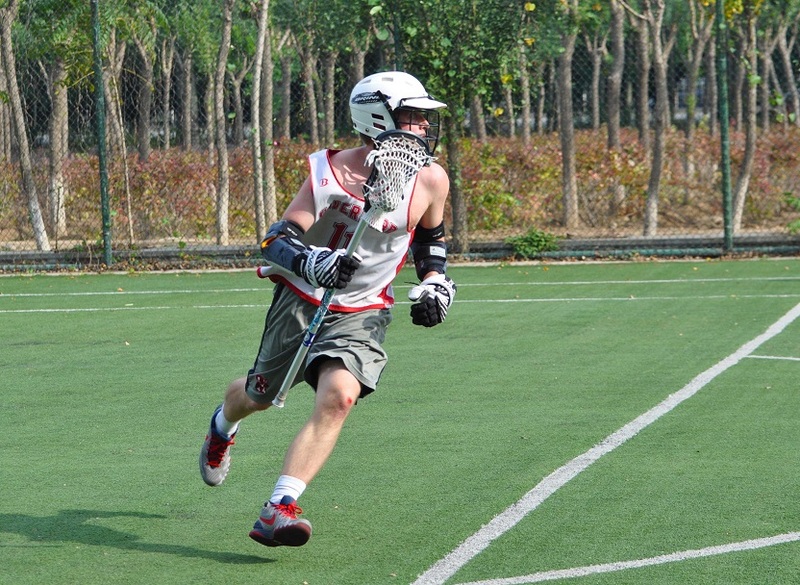 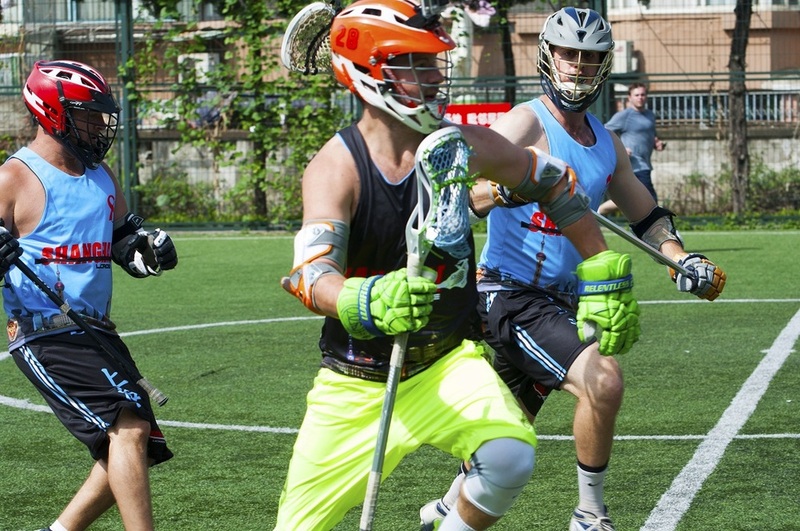 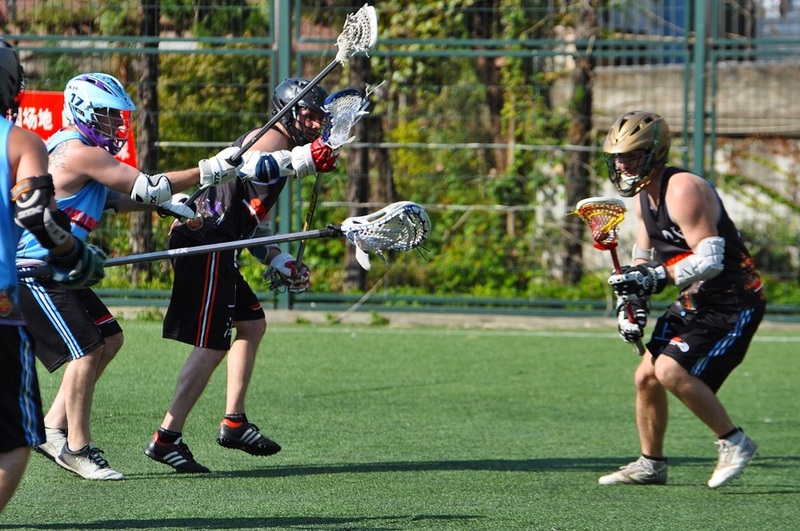 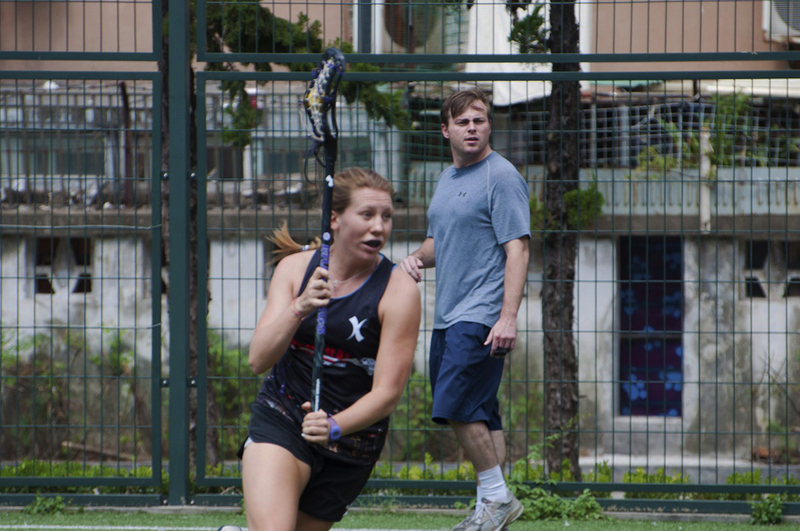 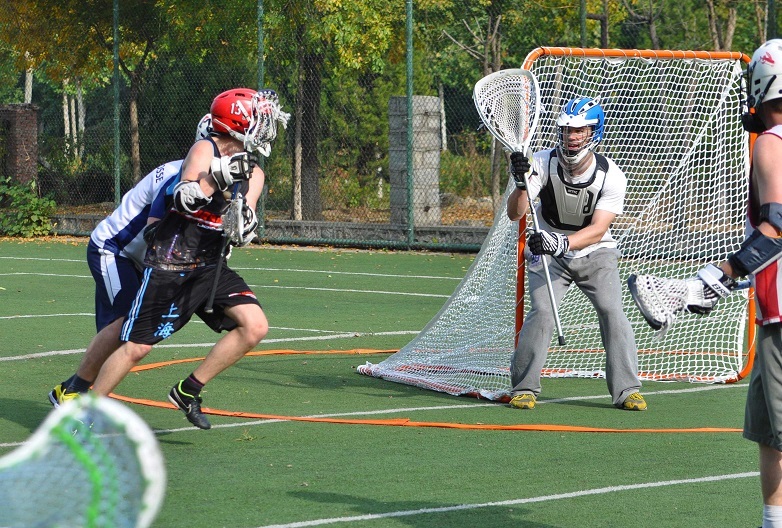 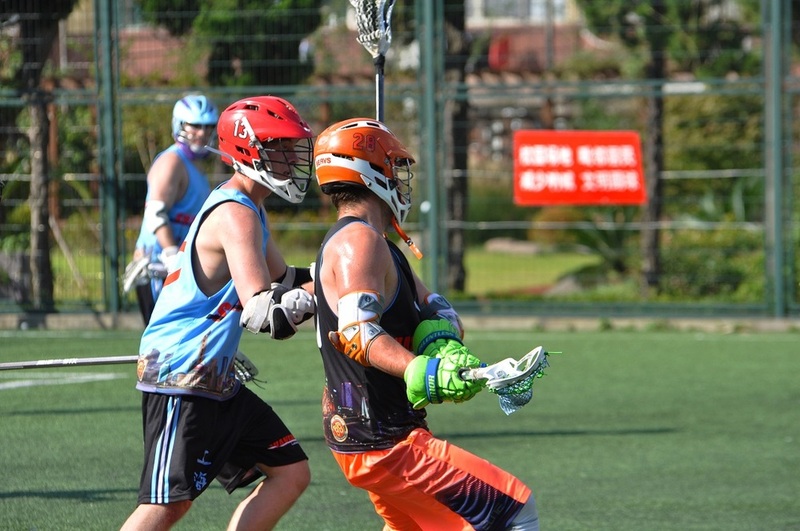 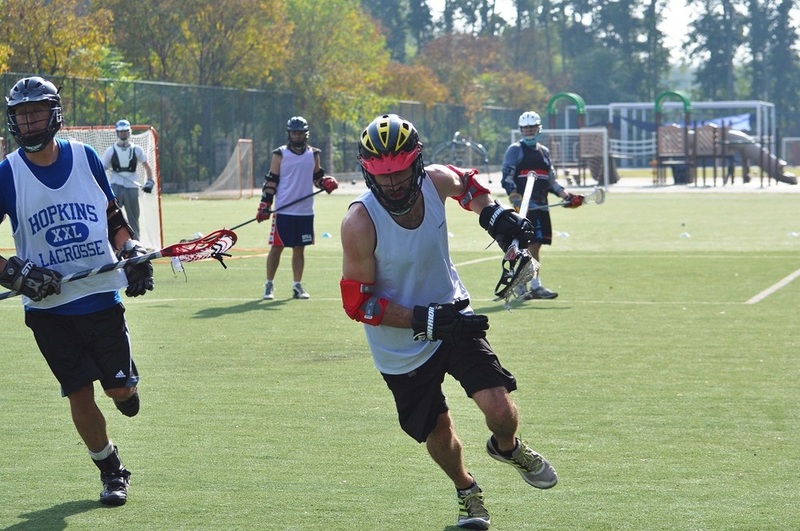 Harry Rice was the second addition to the Danimals’ team and he walked away from his first Shanghai Lax game with 4 goals and 3 assists. 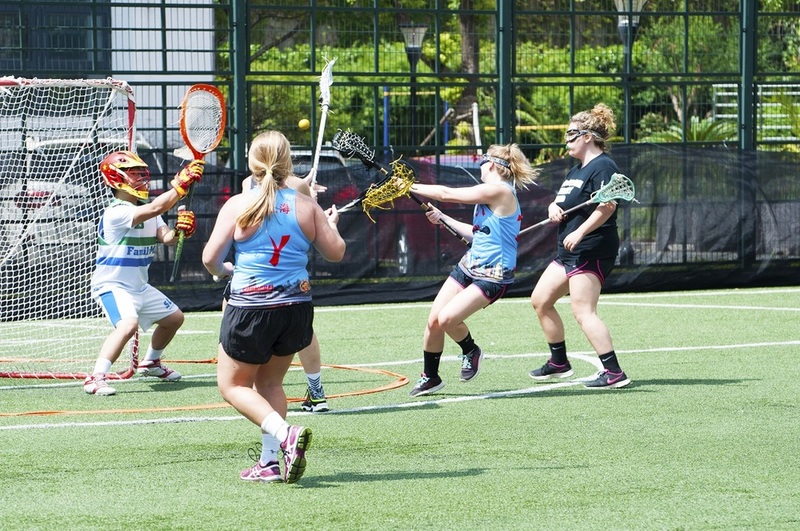 Altogether, the Danimals offense was lethal. 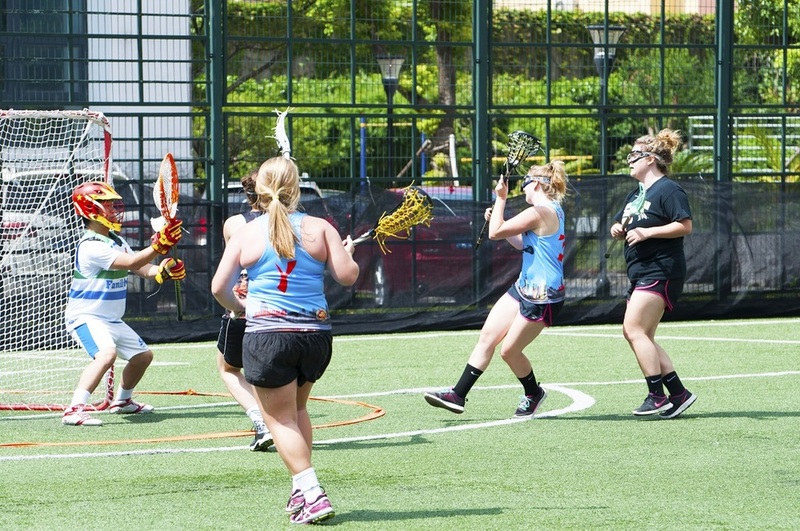 As a result of the heat, much of the game’s focus was put on the midfield and their ability to get back on defense. 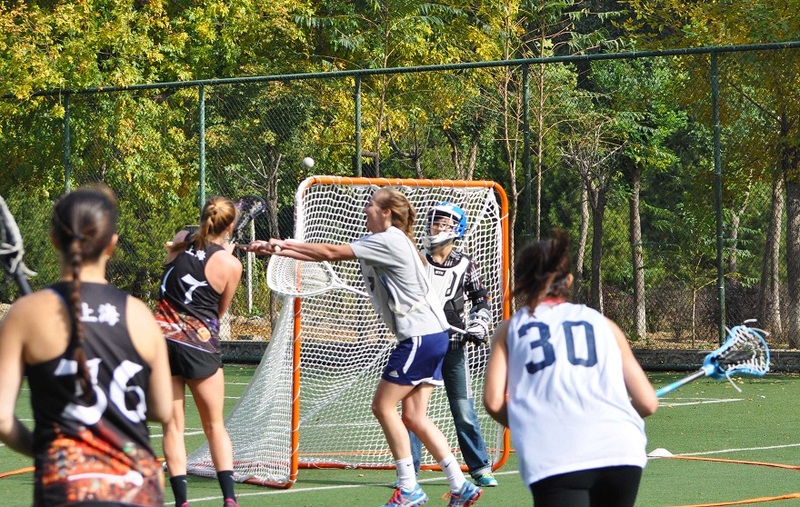 With los Elefantes only having one sub, getting back on defense was more than difficult, but they powered through. 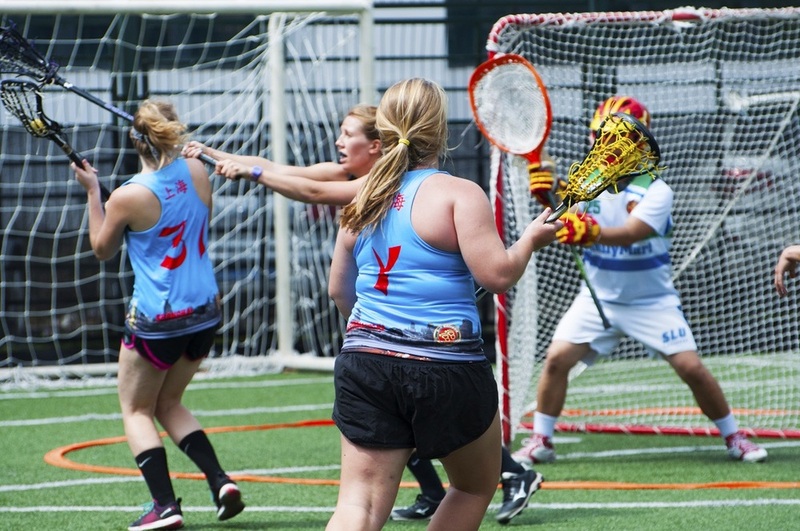 At the end of this game, even the Danimals, winning by 15 goals, were beat… physically. 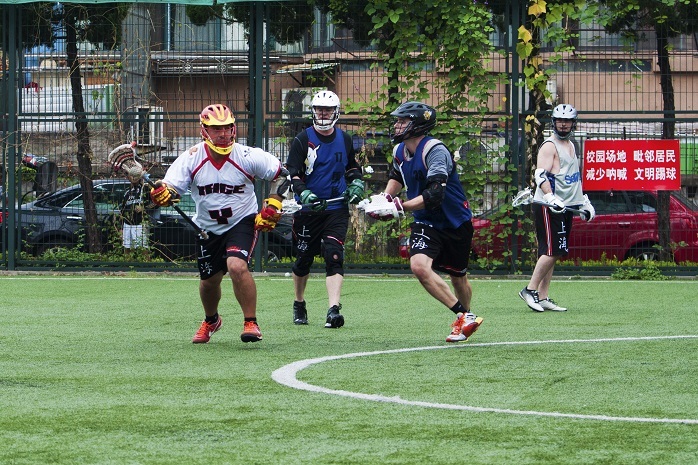 It will be exciting to see how the game changes as the weather cools down for autumn. 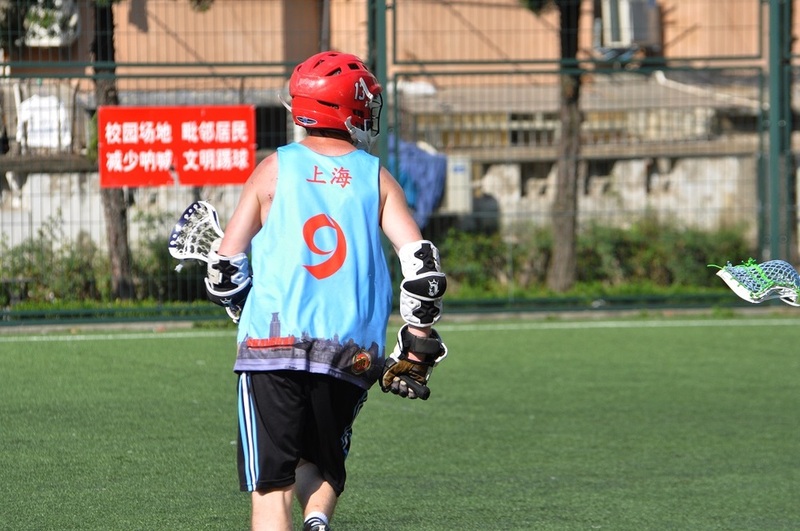 There was a trade executed after Saturday’s game sending rookie Jared Sims to the los Elefantes in exchange for a case of Ice Cold Harbins. 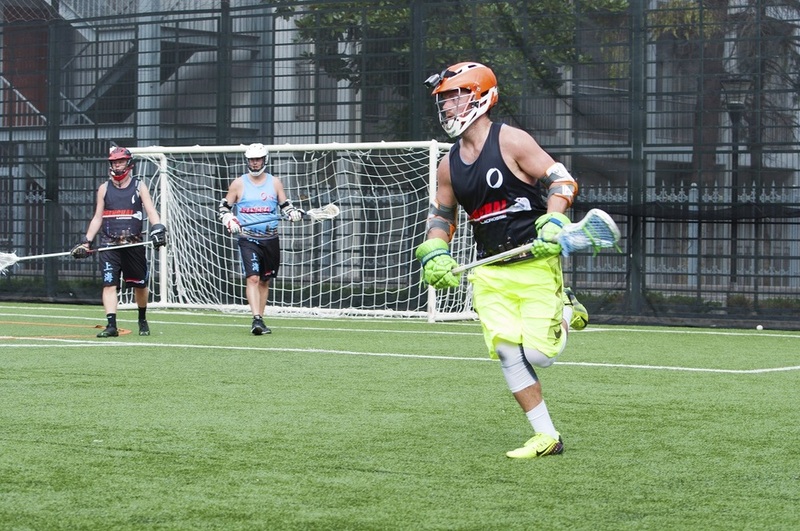 When asked about the trade Elefantes’ captain Matt Dixson said, “It was really hot out there today and our team could really use those ice cold haerbs. 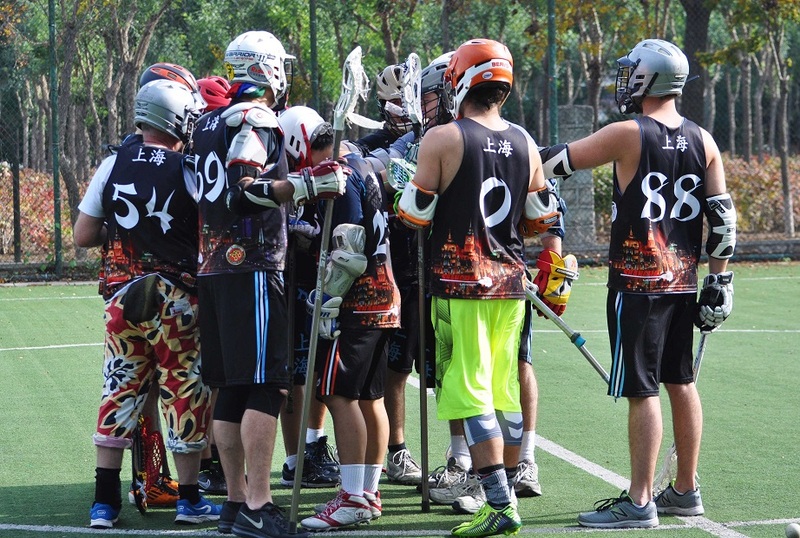 It was a tough decision, but after the first couple losses in the season we really need some additional fire power so I decided to pull the trigger.” We’ll see if this along with cooler temperatures will be enough to get los Elefantes their first win for the season; next game Saturday September 10th, 11am Gubei Field!